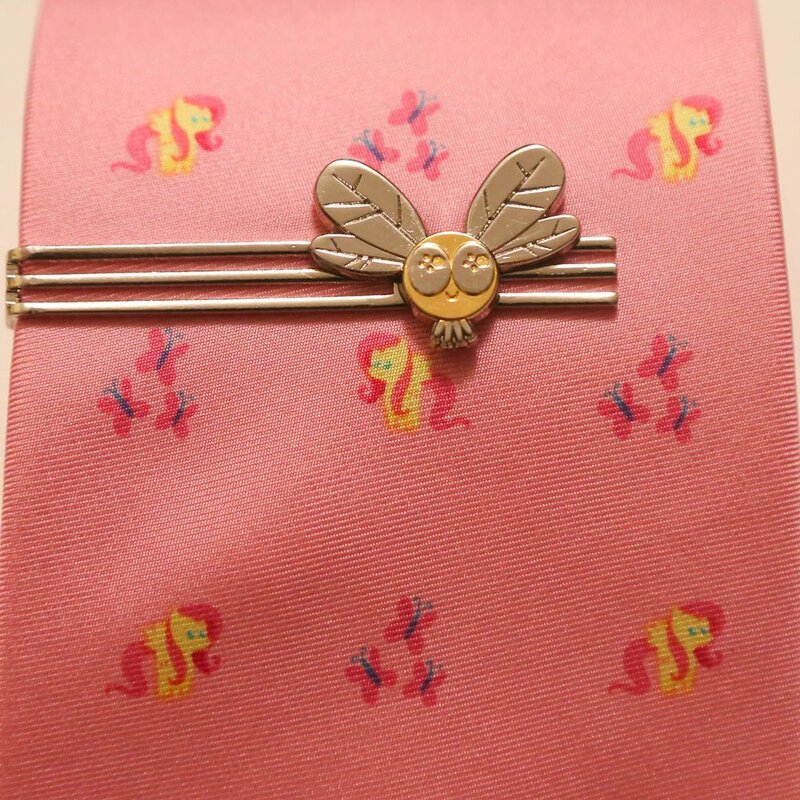 A tie bar is a wonderful invention! 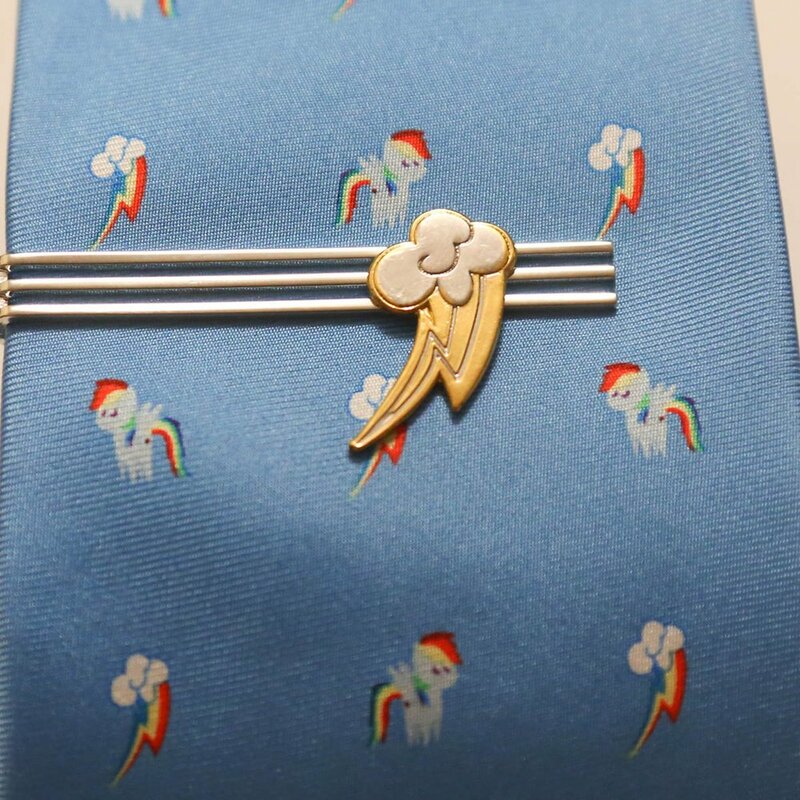 It keeps the tie centered on your shirt, prevents it from falling into your soup or hitting your face on a windy day. 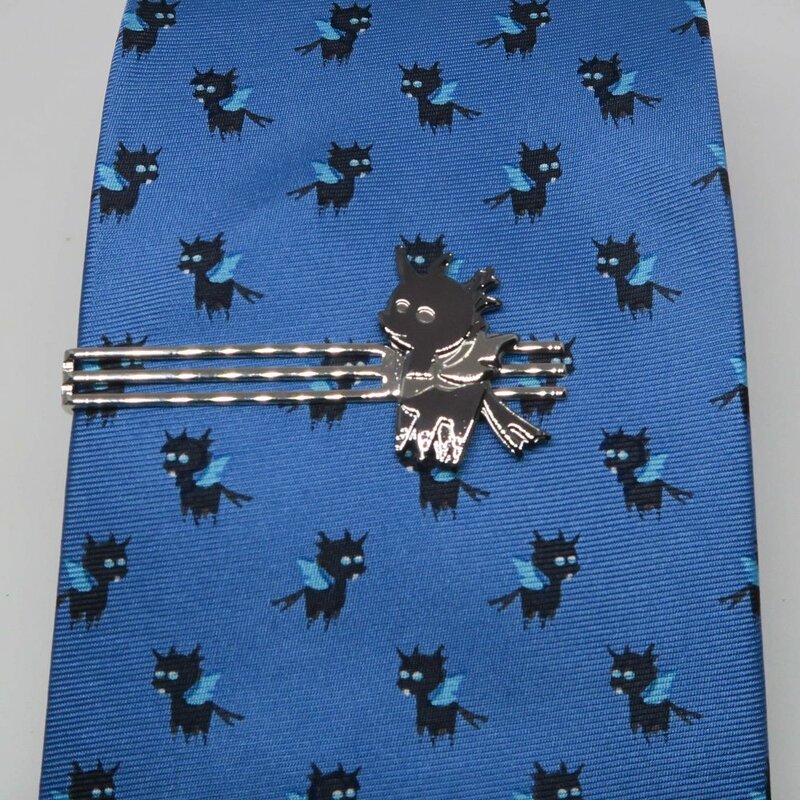 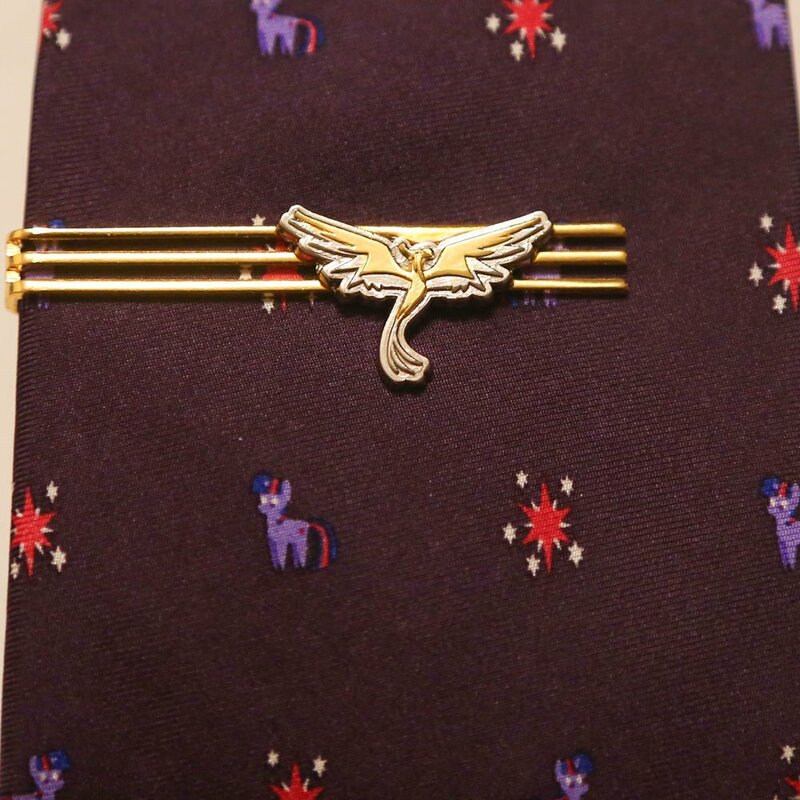 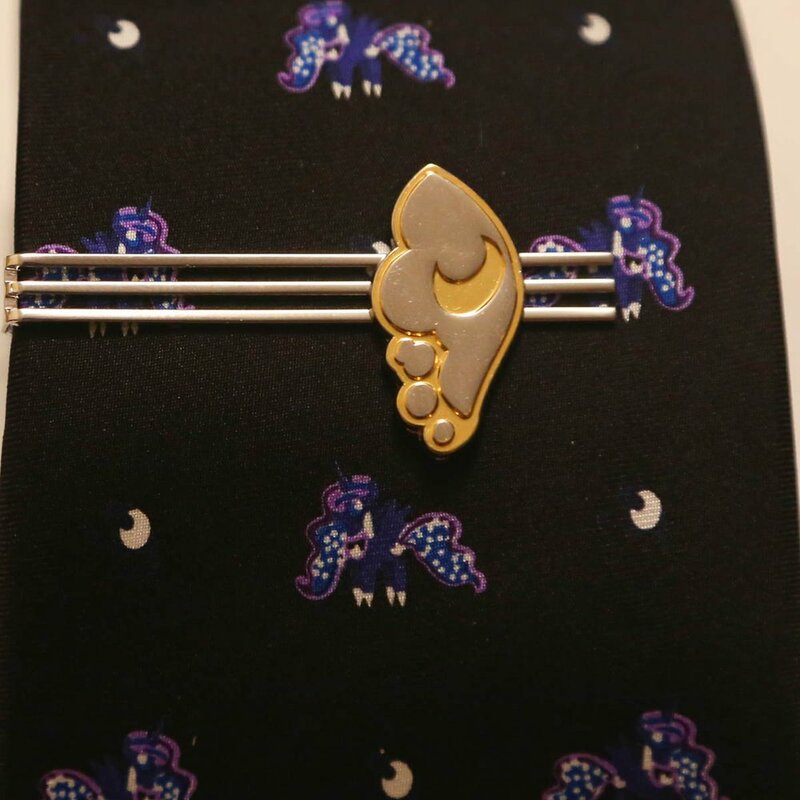 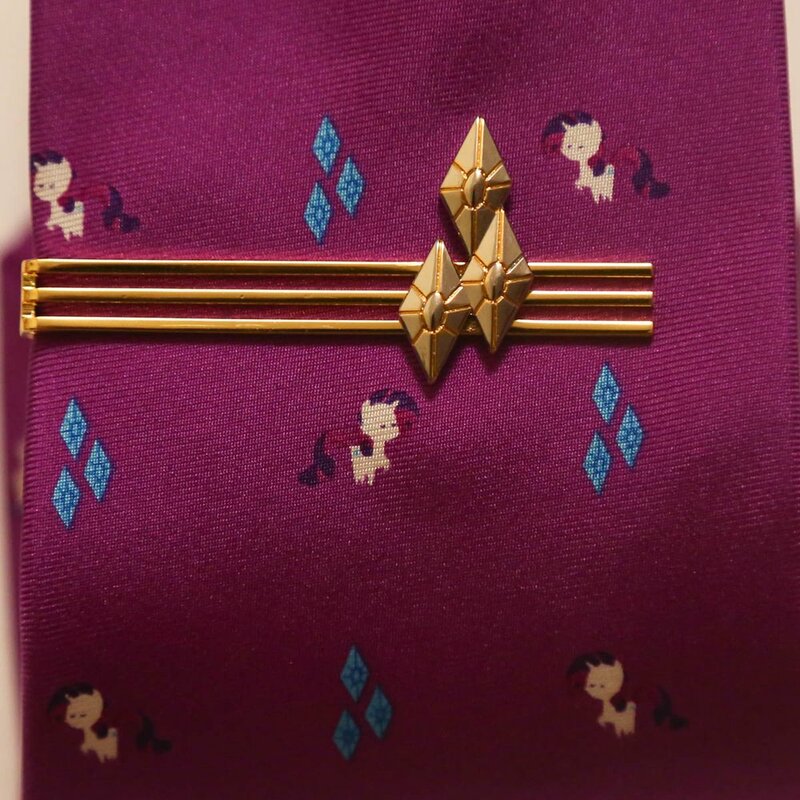 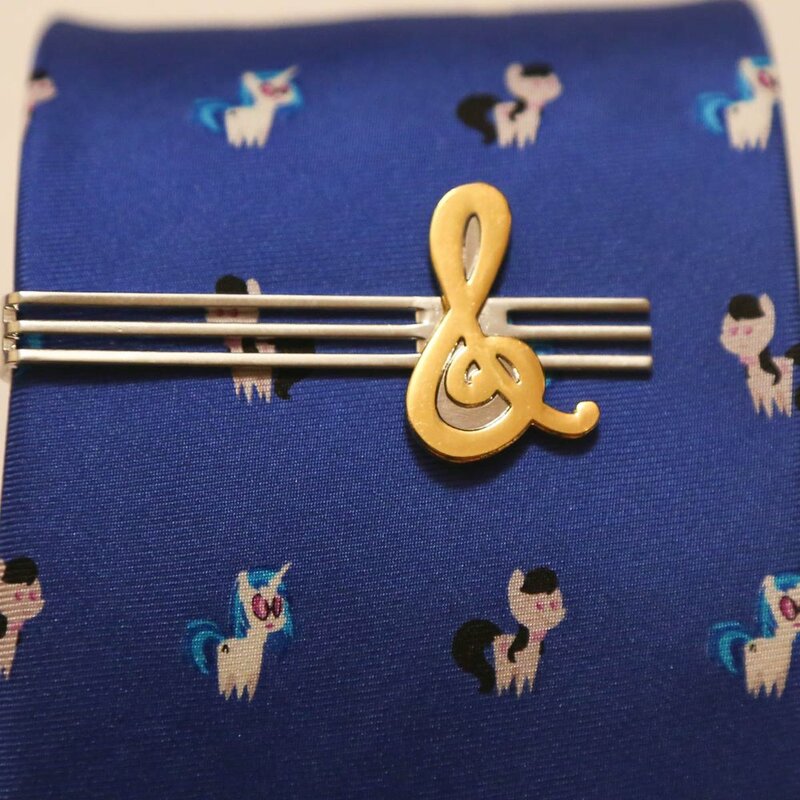 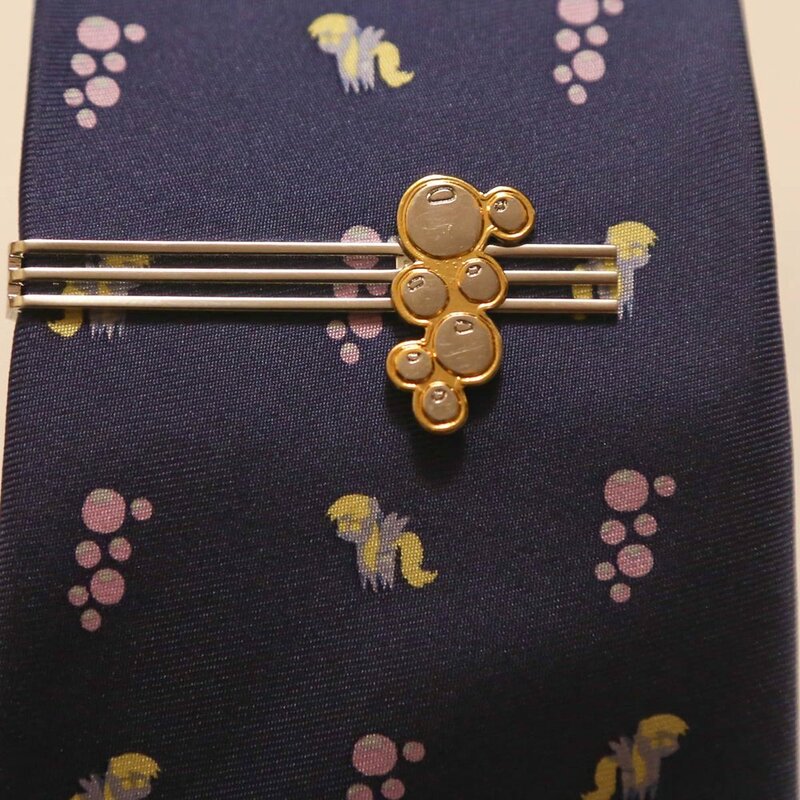 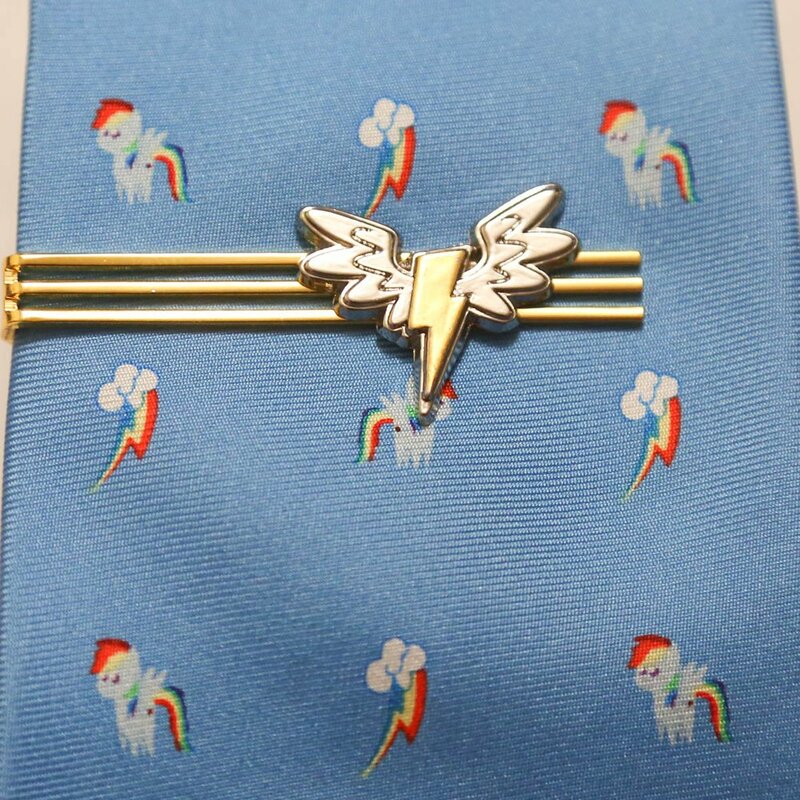 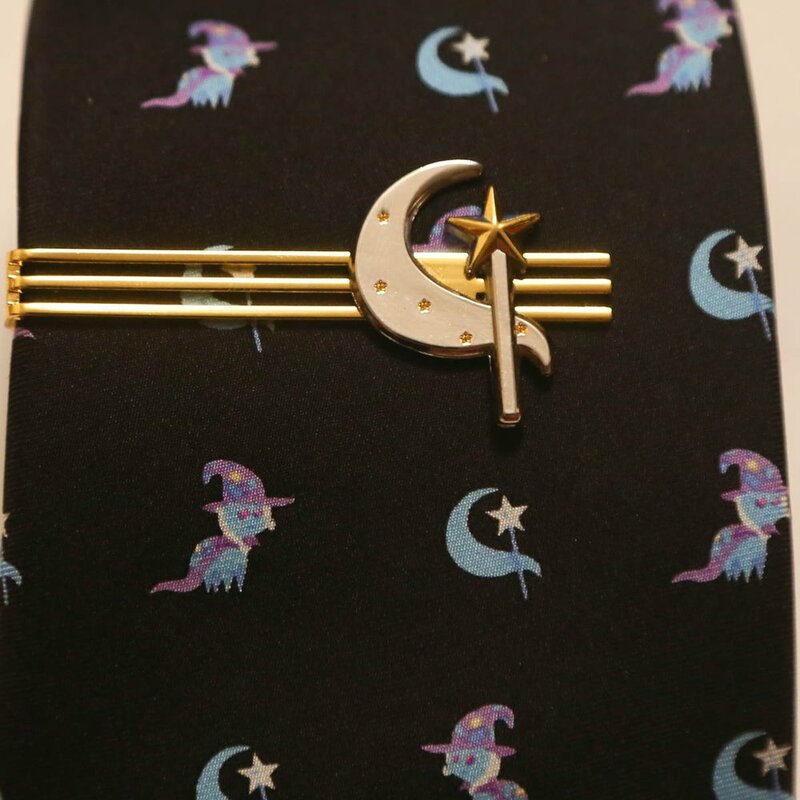 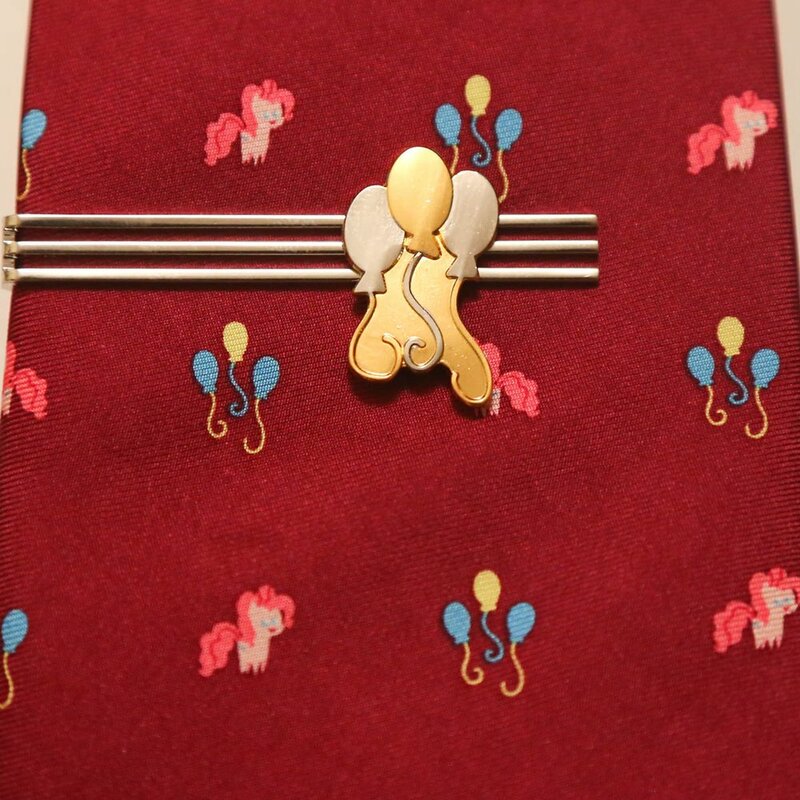 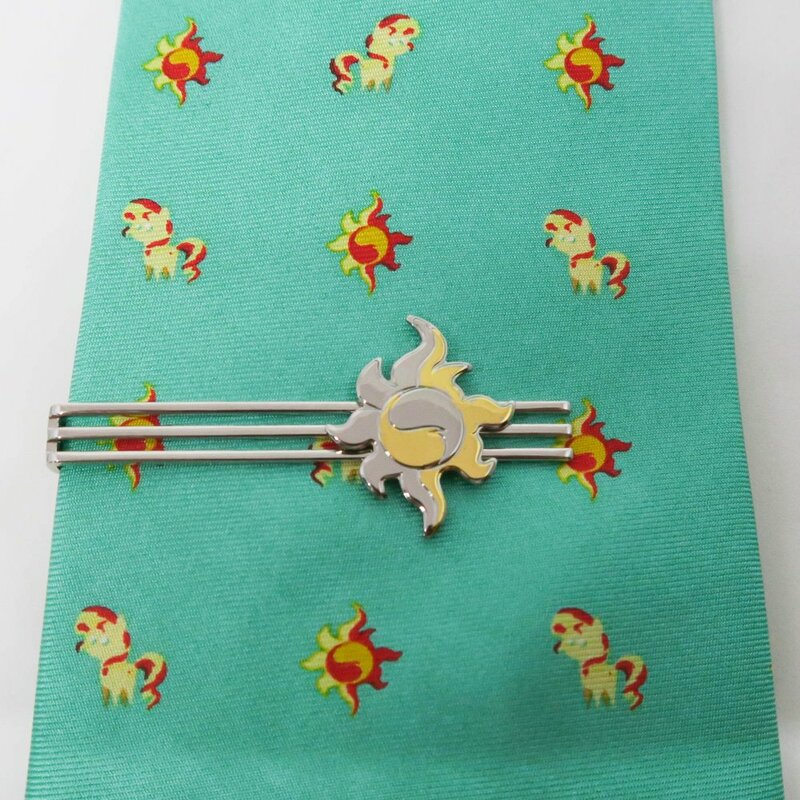 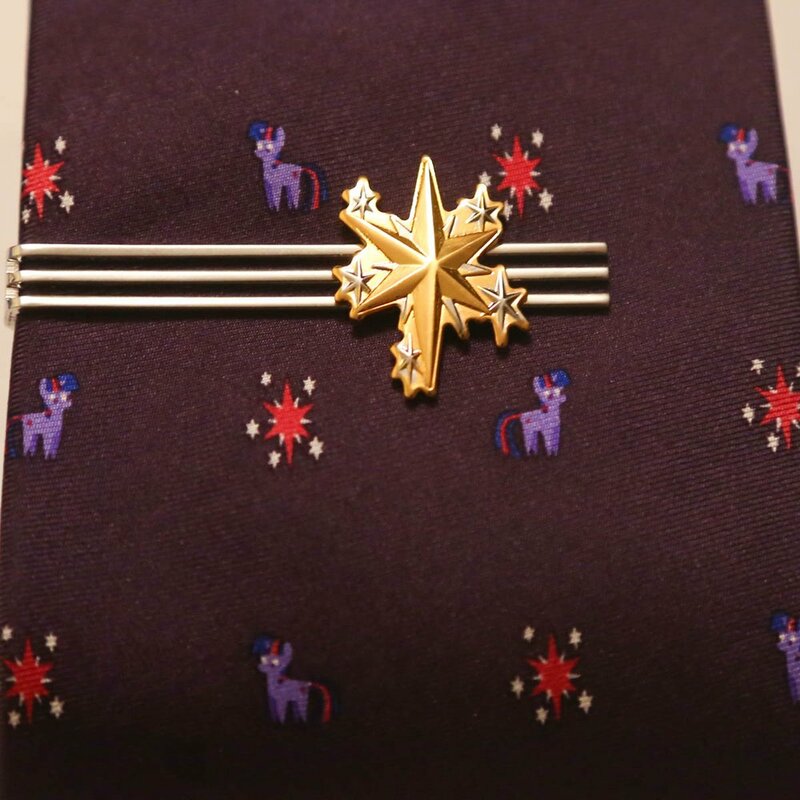 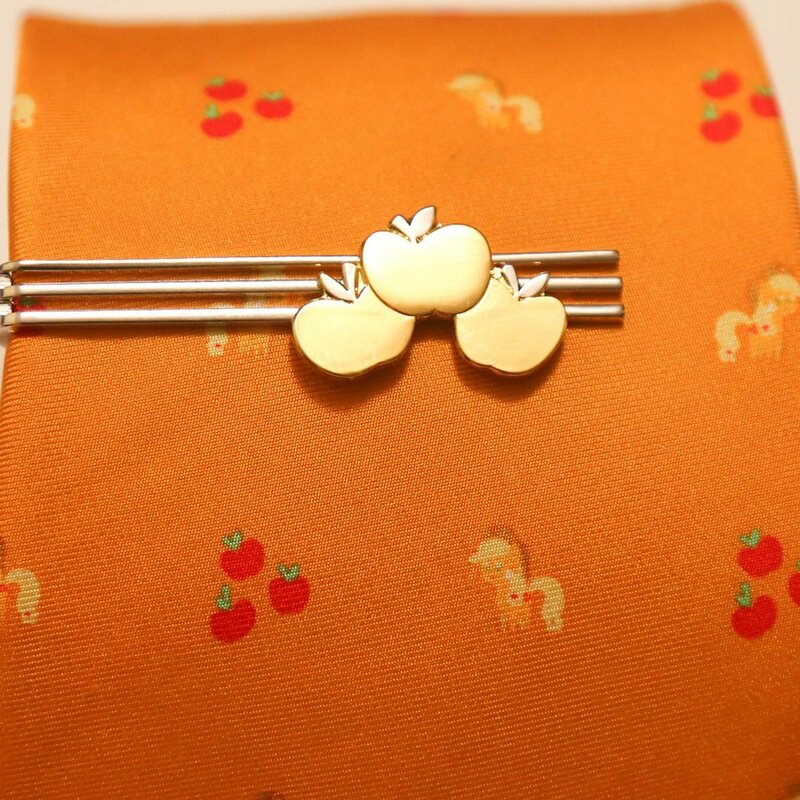 These tie bars are even better, because ponies. 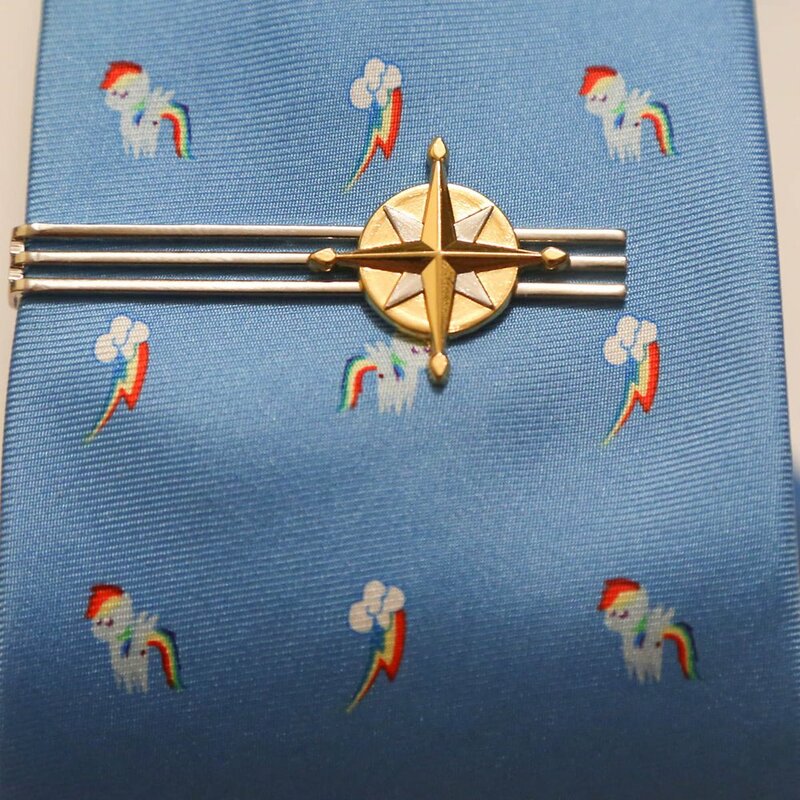 *Tie bars do not come with ties. 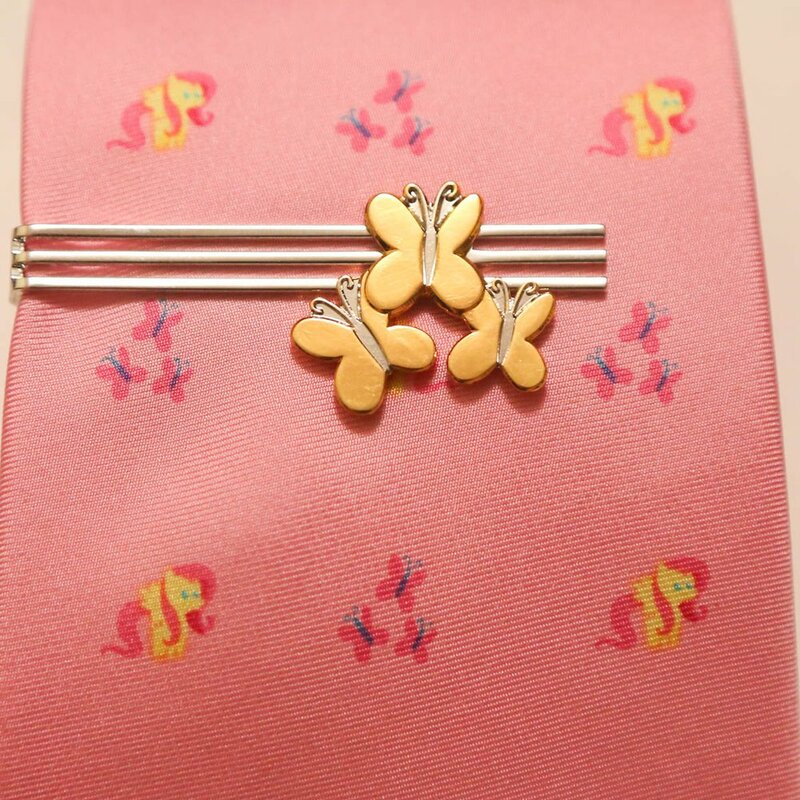 Ties do not come with tie bars. 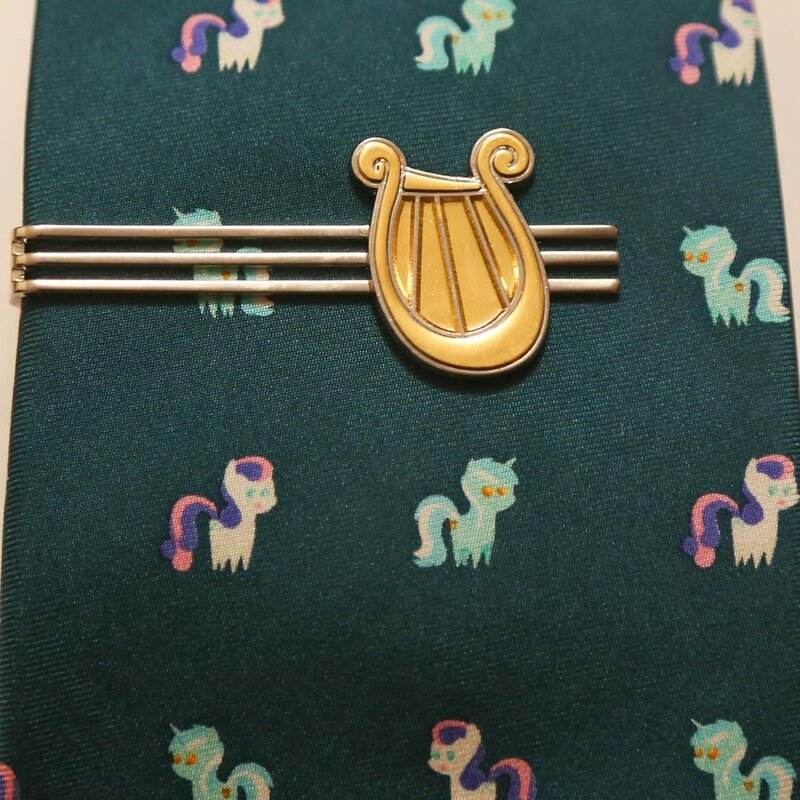 They go very well together though. 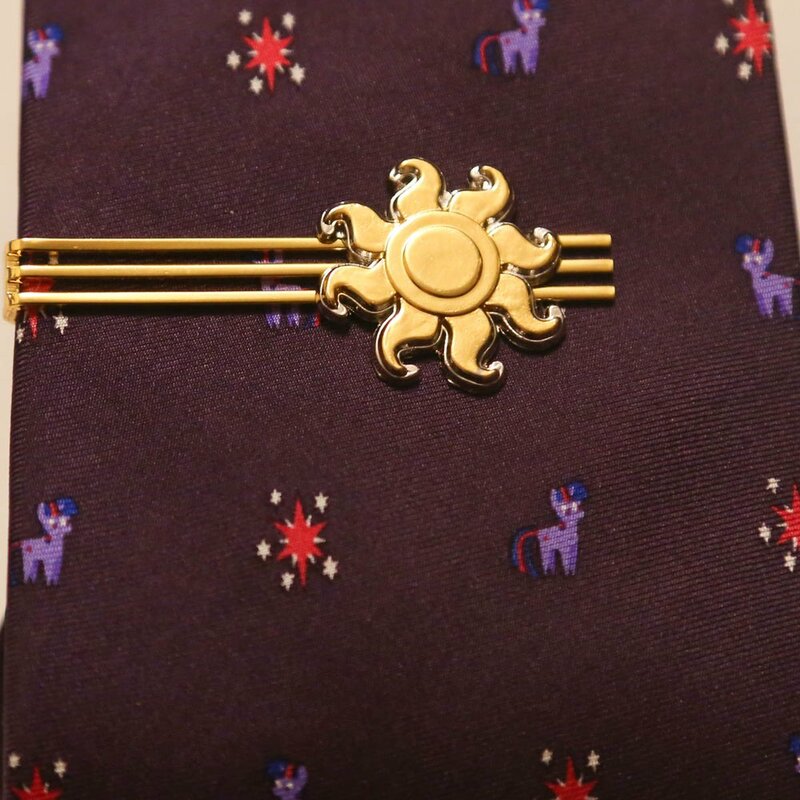 Gold and nickel plated, it clips onto your tie, and holds it to your shirt. 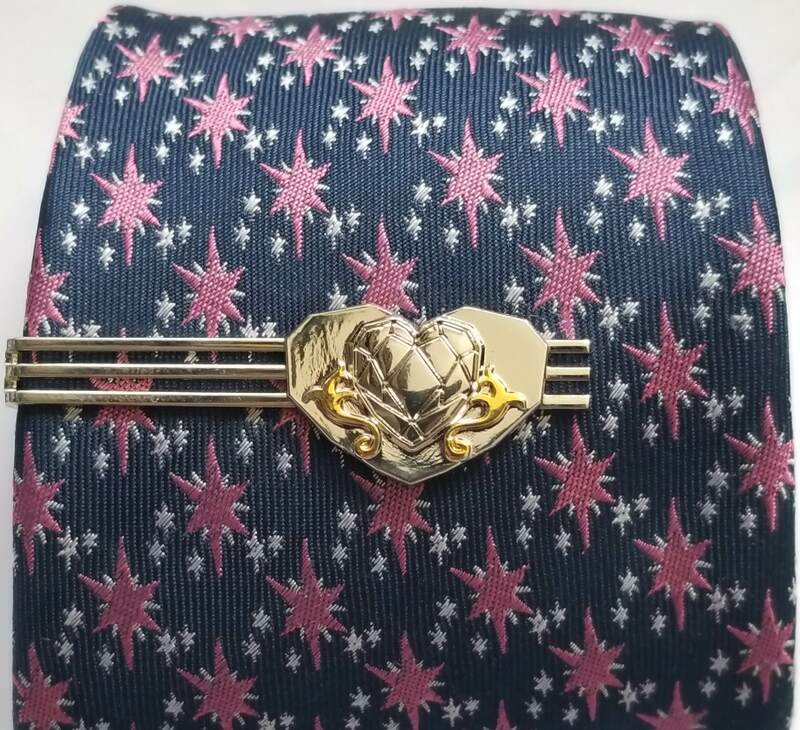 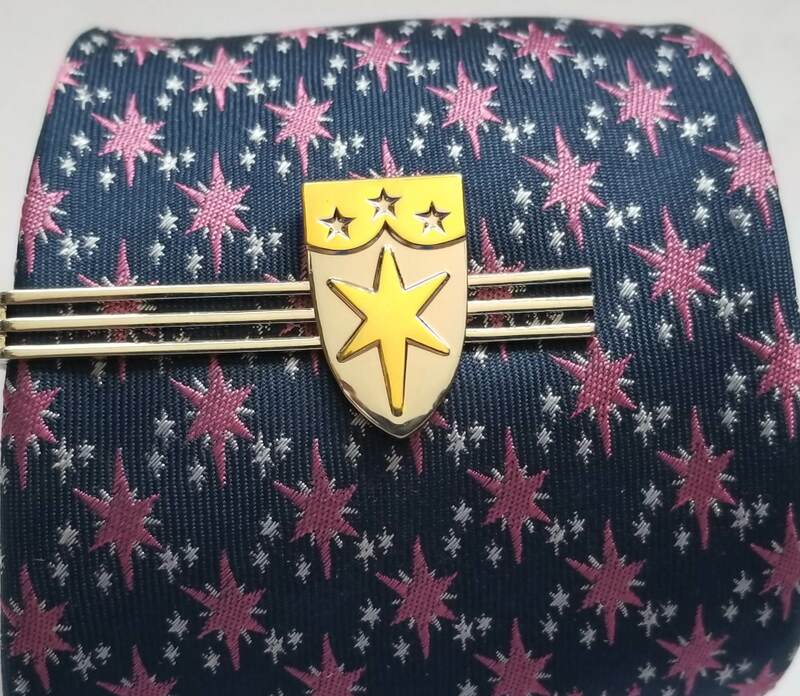 It is about 2.2" long, and will fit most any tie.